Download the sample application from GitHub. 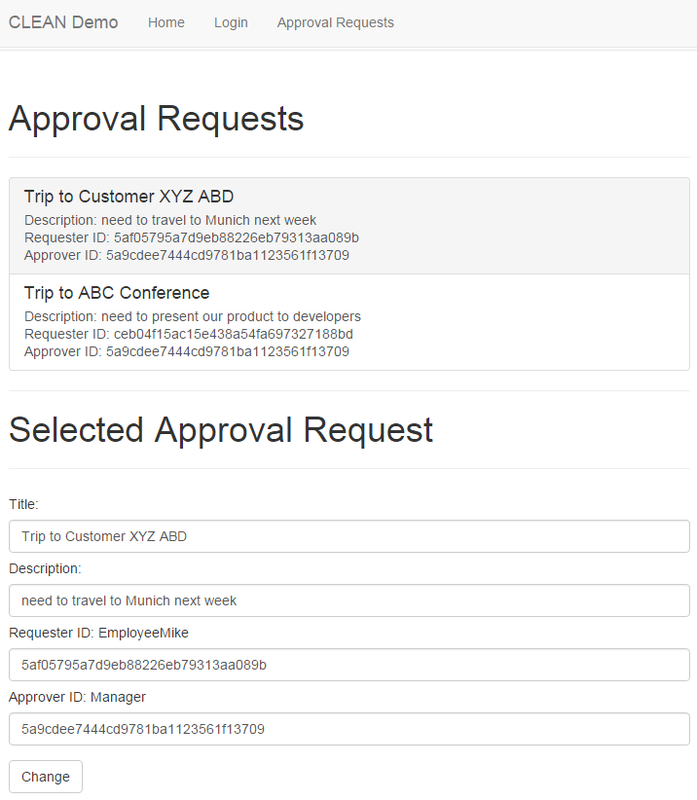 The sample application demonstrates how to build a web based frontend for a simple Approval Request scenario. Approval requests have titles, descriptions, requesters and approvers. Here is the code snippet of the controller that returns all approval requests. The class ApprovalRequest is provided by the LoopBack SDK. Authentication is also very easy from Angular. Just invoke the Person.login function. For details check out the project on GitHub.